Harbour East is a premier waterfront community located in east Boca Raton between Glades Road and Spanish River Blvd., east of Federal Highway. 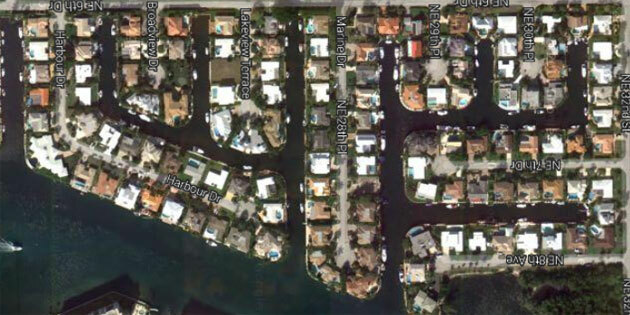 These luxury waterfront estates are considered a paradise for boat enthusiasts, as most of the homes in this neighborhood have private deep water docks that are adequate for larger vessels and rest on canals with no fixed bridges. Typical of South Florida, this beautiful development is encompassed with gorgeous shimmering water views, natural tropical foliage, and quaint Cul-de-sac streets. Harbour East is made up of a combination of classic single-family "Old Florida" homes to large Mediterranean-style estates, with homes ranging in size from 1,500 square feet to over 6,000 square feet. These exquisite homes are situated along four quiet streets as well as on deep water canals of the Intracoastal Waterway. All in all, with nonstop water activities, amazing sunset/sunrise views, serene surroundings, and the best that South Florida has to offer right outside of your front door, living in Harbour East is equivalent with living in tropical paradise! Click to view all single-family homes for sale in Boca Raton, FL.